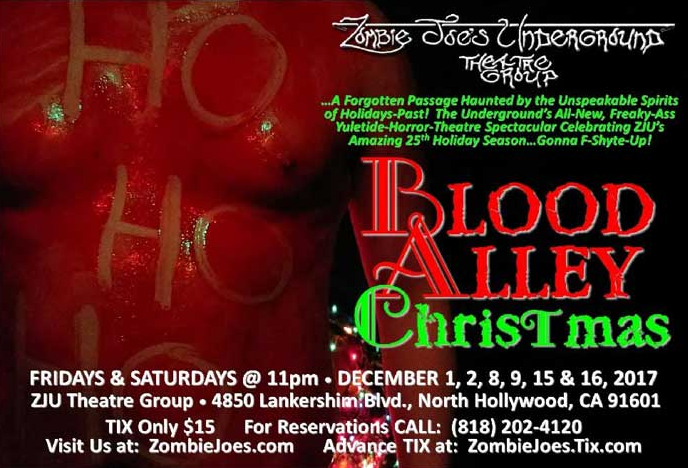 DESCRIPTION: Zombie Joe's Undeground Theater unleashes a show like no other. If you're easily "triggered" then.... stay away. This is an extreme experience for people who want to freak out, laugh out loud and have their mind blown with wild experimental theater. We saw the show opening night and we laughed, we screamed, we looked away with glee and had so much fun. TICKETS: $15 - purchase tickets ahead of time on their website because most shows sell out!